Fred and Eleanor McCrea were looking for a summer retreat in 1943 when they found a 160-acre homestead near St. Helena. They weren't farmers but many of their neighbors were knowledgeable. They did not initially plan to grow grapes and make wine, but they developed vintner connections and took winemaking classes at UC Davis. They knew their site at the base of Spring Mountain as ideal for red grapes, but they chose whites instead. Their winegrowing success was mostly a result of blind luck. Every year, starting in 1947, they planted an acre or two of Chardonnay and Riesling. Stony Hill's vineyard was located at 600' to 1,200' elevation overlooking the Napa Valley. The existing Chardonnay vines were eventually replanted through a process of in-house selection by Mike Chelini, who presided over Stony Hill's winemaking and vineyard management since taking over from founder McCrea in 1973. 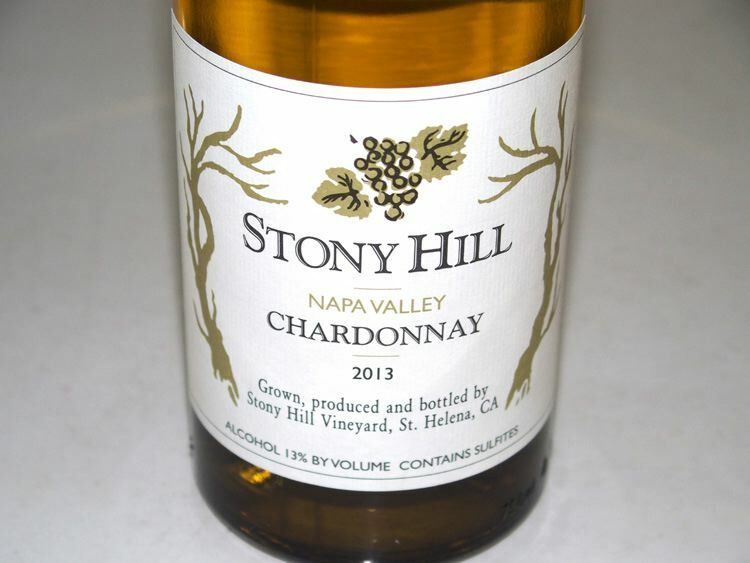 Stony Hill's first Chardonnay grapes were harvested in 1950, and the first release of 100 cases came two years later. No one at the time was employing barrel aging for Chardonnay so their product was unique. The Chardonnays from the original vines were famous for taking 20, even up to 40 years, to develop. Chardonnays from the newer 1970s and 1980s plantings are more like 10- to 12-year wines. The Chardonnays are closer to Old World than New World in style. Stony Hill does not produce "unoaked" Chardonnay. They ferment in 60- and 130-gallon French oak barrels. They never throw the barrels out, preferring to use them over and over again until their staves can no longer hold together. The Chardonnays do not undergo malolactic fermentation. Stony Hill's combination of quality and cult aura catapulted it to fame, making it Napa's first cult wine. It also created the template for direct-to-consumer sales. The winery became so popular at one point, it took years to make the mailing list. Customers drove their cars to the winery to pick up their $4-a-bottle allocation of Chardonnay. In September 2017, the McCreas sold their winery to the Hall family of Long Meadow Ranch. Tours and tasting are offered by appointment.